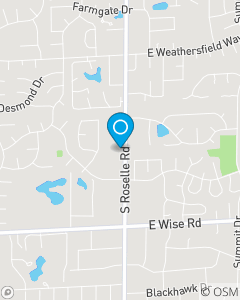 Conveniently located between Weathersfield Way and Wise Rd in Schaumburg IL. The mission of our office is to help our policyholders manage the risks of everyday life and to be the first choice for all of your Illinois insurance needs. We focus on Auto Insurance, Home Insurance, Renters Insurance, Condo Insurance and Business Insurance throughout Illinois including; Schaumburg, Hoffman Estates, Streamwood, Hanover Park, Roselle, Elk Grove Village and surrounding Chicagoland Area of Cook County, DuPage County and Kane County.